Looking for some unique footwear such as Keds’ cosmic-printed sneakers and Sperry Top-Sider’s Authentic Original’s with frosted soles? Those are just some of Complex Lifestyle Store’s latest offerings this holiday season, the new mecca for trendy urban shopping has got a carefully curated collection of footwear, apparel, eyewear and timepieces for the globetrotter, tech geek, contemporary artist, prepster and high-street purveyor. Shop brands such as Sperry Top-Sider, Keds, Creative Recreation and Polo Ralph Lauren in its line-up. Nike, Havaianas and Onitsuka Tiger are complemented by local apparel game-changers ZOO, UNSCHLD, i love koi swimwear, and accessories from WIP Caps, Kameleonz interchangeable sunglasses fresh from California, Baggu, quirky Tetropack knickknacks and gadgets from Urbanears and Marshall Headphones. You can also get these cool, affordable watches from Marc by Marc Jacobs. The Critters Collection is inspired by the 20s and 30s and feature streamlined silhouettes with abstract prints. Choose between 4 quirky critters: bunny, cat, zebra, and dog. They're perfect for girls with a fun sense of humor. 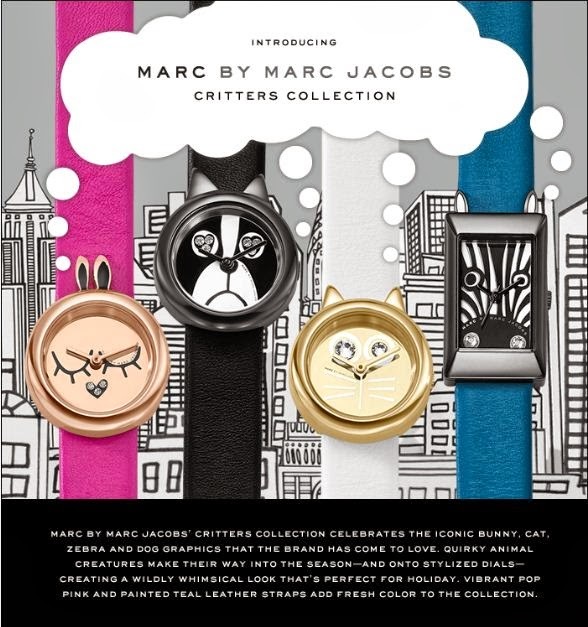 Marc by Marc Jacobs watches is available at Wrist Pod boutiques nationwide. If you're looking for something to spruce up your wardrobe, look no further than Stockton Row. A new player in the metro's accessories market, Stockton Row is becoming a fast favorite among the fashion forward set with their well-made and uber stylish designs that lend an effortless cool look to any ensemble. Usher in the new year with style. Suiteblanco's offerings for Holiday 2013 are G-O-R-G-E-O-U-S! and very affordable as well. Get a new Hello Kitty planner from SM Kids Fashion for free! 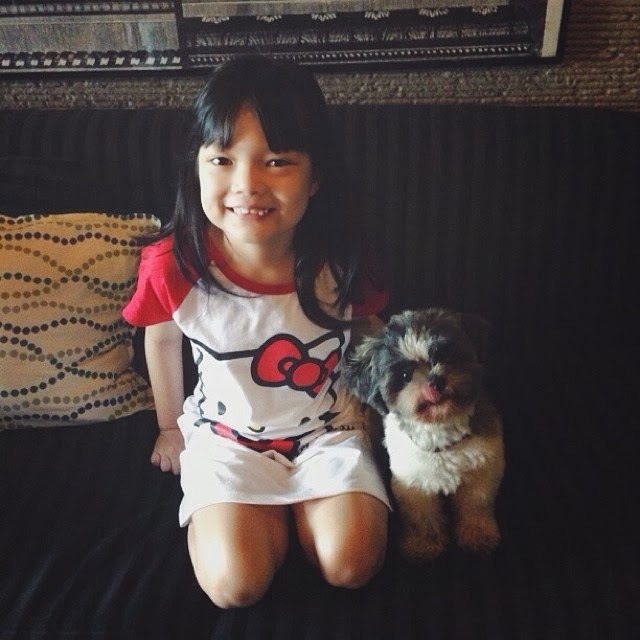 Time to stock up on super cute Hello Kitty sleepwear that both you and your daughters will love! 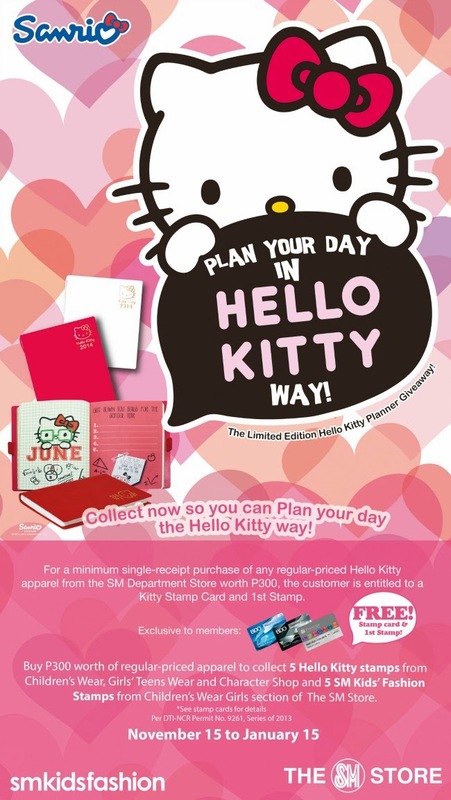 Purchasing a single receipt worth Php300 of Hello Kitty merchandise entitles you to a stamp card and free first stamp, another 4 gets you this super limited edition planner. Pretty good deal right? Promo runs from November 15 - January 15, 2014 only so hurry and shop our favorite feline at SM Kids Fashion Children's Wear, Girls Teens Wear and Character Section at The SM Store.